I do sometimes feel I am new to Bridges to Belonging Waterloo Region. After all, my adventure as someone on a Steering Committee and now on the Board began not too long ago when I found myself searching for a new career. I am sure many of you can relate as you all think of times when in your own ways you have taken on a new role. Currently I am a recording secretary. I take the minutes but I look to other people on our team to be mentors. I feel new. 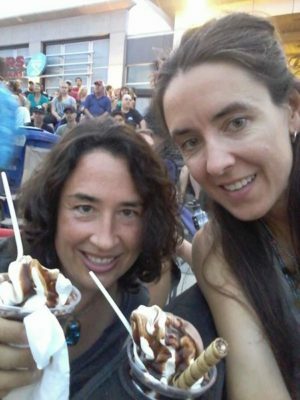 The Tragically Hip concert broadcast at Waterloo Square over the summer gave me a sense of belonging. People were watching this all over Canada. I know then that so many of my life experiences have connected me in very meaningful way to Bridges to Belonging. I have believed in this vision for as long as I can remember. I am now on the Board because of the variety of ways that Bridges to Belonging works to make this vision a reality. A community where everyone belongs is the community I want to live in. While I learned about Bridges to Belonging as part of a recent job search, belonging was also important in my previous career. I spent many years working with newcomers to Canada. I have lived in Canada all of my life and definitely feel connected to the outdoors and the snow. I just loved my most recent holiday at a cabin up north with opportunities to snowshoe and ski. I truly feel Canadian. When I was working with newcomers I was part of a team that helped to facilitate the successful settlement of people from other parts of the world. Here I learned that my life is richer when I am learning about other cultures and getting to know people from different countries. Many of the newcomers I met shared inspiring stories, examples of perseverance and courage. Many of the stories were very different from my experiences. I learned about uniqueness, and this was a great thing. This lesson was also instilled as a little girl. 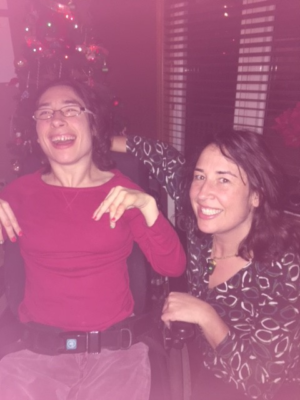 My sister and I are twins and we grew up with many challenges that come with having cerebral palsy. For my sister these challenges were very difficult. There are limits when it comes to the things she can do independently but we celebrate, and she celebrates when she can be a great artist, a great cook, and a great organizer. To me even today there is nothing more unique than for my sister to love helping with a variety of household chores. I procrastinate and would rather be doing anything else. My sister loves the idea of helping my parents or friends with things which include washing dishes, and putting things in containers. I would prefer playing games or watching movies with her. As a family we try as much as possible to make sure she can make choices and be herself. This is one way that we can make sure that she feels a sense of belonging. Belonging also means building meaningful relationships. When I was growing up my parents often worried about whether I would have friends. I am someone who walks a little differently. Sometimes, and especially in childhood this meant that developing friendships was not always easy. I was very reassuring to my parents. “Don’t worry Mom and Dad. I will make friends. You’ll see”. My idea was that I should do the things I love to do and hopefully make some friends along the way. Today I love going to see live music at a variety of venues in town. Musicians are great examples of people who are being creative and being themselves. Concerts and events are always more fun with friends. The right friends will encourage learning and developing interests. Cooking is another creative pursuit I love. I am sure my friends are very happy when my interests happen to be baking something delicious or planning a fancy dinner party. Whatever I chose to do a friend cheers me on or offers me advice. I also love sports such as yoga and running. I have many friends in the running community who are offering me training advice and cheering. 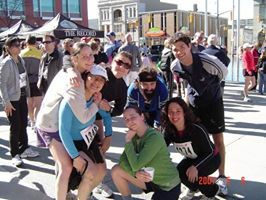 I have enjoyed running for a long time and a few years ago I ran my first full marathon. This year I will travel to Ottawa to run a half marathon for Canada’s 150th anniversary but the biggest adventure yet will be travelling to Iceland to run a race. 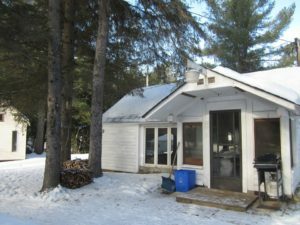 The Silgrey cabin is the place my parents and I stayed over our holidays up North. Being adventurous works great for me when I want to meet people and be involved in community. That said, I can imagine that there are times when more of a push, some cheer or creativity is needed to help people to connect. Bridges to Belonging is there as an organization to support people when this is a challenge. Since building great friendships is so important to my sense of belonging I really value this aspect of the organization. While sometimes my goals are relatively easy to accomplish friends are also there when crossing a finish line might be a bit more difficult. The newest program that is part of Bridges to Belonging connects people to creative solutions toward living independently. Be at Home recognizes that people also need places to be themselves. This has been very important to me as well. There are too many stories on the news of places where people do not feel a sense of belonging today, and stories of walls being built. Especially now I think it is so important to find ways to be connected to organizations that bring people together. Bridges to Belonging is one of those organizations. If you are interested to learn more please join us at our upcoming Jazz Night event.